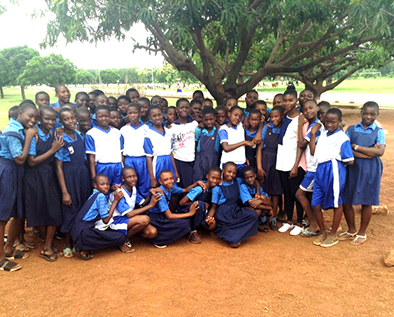 For the girls who attend one of DLA’s partner primary schools in Ghana’s Sagnarigu district, long walks to school are a norm. With few transportation options available to the community, students are used to trekking long distances to buy school supplies and even essentials like drinking water and sanitary products – often during school hours. Across DLA’s school communities, participation in youth clubs has helped increase girls’ academic performance and life skills. DLA has helped develop over 1,190 girls’ clubs and associations at its partner schools. So when its community trainings led to the formation of a new girls’ club at her school, Madam Zeye Fankor Adzo – the club’s Mentor and patron – decided to help her members solve one of the school’s most pressing problems. After initially focusing on organizing reading and quiz competitions to help the girls improve their public speaking and reading skills, Madam Adzo decided to introduce them to a business toolkit developed by DLA for teaching youth entrepreneurial skills. Joined by the school’s head teacher, Madam Fusheini Elizabeth, she began using the toolkit to train the girls in the basics of running a business. Then, she helped them set up a micro business plan for selling affordable stationary products such as pens and pencils, as well as clean drinking water on the school premises, to help students avoid their long treks during and after school hours to buy these essentials. 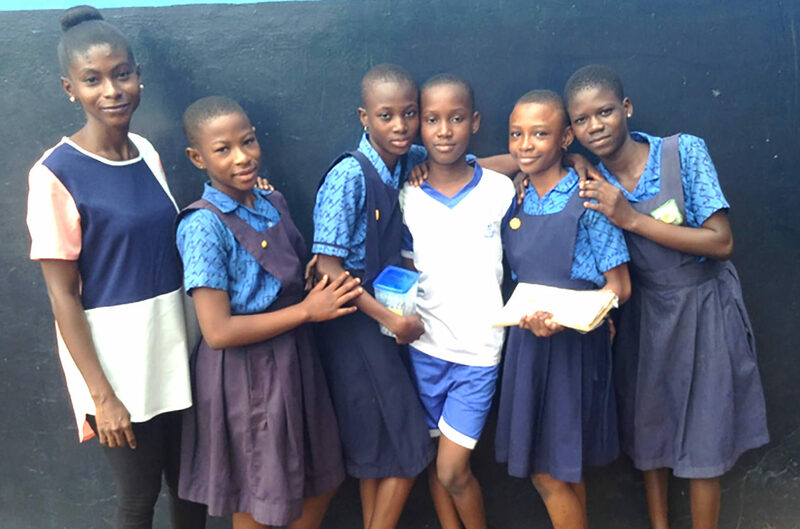 The girls launched their business in January 2018, with a goal to generate income that would support their club’s activities as well as allow their classmates purchase school supplies, water, and personal hygiene products inside the school building. The daily sales at the end of the day are handed over to the club’s mentor for record-keeping and procurement of more items for resale. Some percentage of the profits is also used to support the school by fueling a generator to power video lessons provided by DLA for use in the classroom. The project was an immediate hit at the school. Since its launch, its initial capital has nearly tripled! Most importantly, the club members’ teachers report that it has led to an increase in their school attendance and learning outcomes. The girls’ self-esteem has also received a major boost: thanks to the income from project, they can now buy many of their school supplies on their own without relying on their parents. They love coming to school and seeing the results of their project helping so many of their peers. The girls are not stopping there. Going forward, Madam Elizabeth has promised to allocate a storage room at the school for their club, which will allow them to expand their project and employ an experienced salesperson to help manage sales. There are also plans to use extra income from the project to support the education of needy girls in the school’s neighborhood – paying it forward to the community beyond their school.